People have a habit of making huge, life-changing decisions at the end of December because they reflect back on the year that was and realize, “I don’t want to do this anymore” or, “This job isn’t getting me where I want to be” or, “All the kids are gone, so it’s time for me to do something.” Sound familiar. This is usually the point where they investigate how to get a real estate license. All you have to do is take a couple of classes, pass a test, and PRESTO! You’re in the business. How difficult could it be? And just think of all the MONEY! Over thirty years ago, I entered the real estate business with no idea that the path I had chosen would lead me to where I am today. I have survived multiple recessions, high interest rates (16½%) and the introduction of the internet into the real estate business. Through it all, there have been some guiding principles that have kept me focused on not only surviving in this business but thriving while others have faded away. The month of November has come and gone, and with it, the cool, crisp air has turned a little frosty. But that change in temperature has not deterred the local real estate market from continuing to perform at a high level. Take a look at the numbers. NOTE: Click on any of the charts to enlarge and/or download. 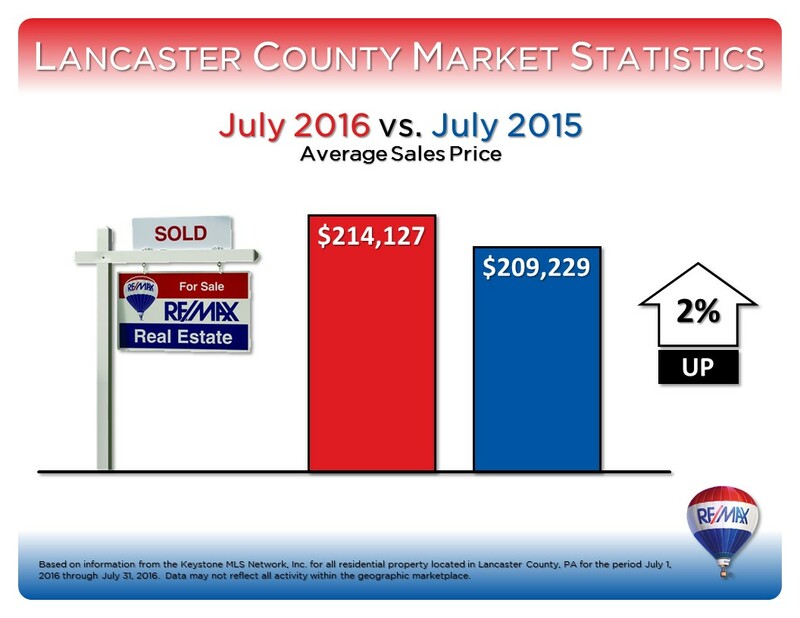 The average sales price in Lancaster County is up 2% from last year at this time. This continues a trend that indicates that the overall residential real estate market is rebounding from the recession. The biggest takeaway from this chart is that the number of active properties has plummeted 21% since last year. There is a shortage of inventory in almost all price ranges which causes prices to rise. 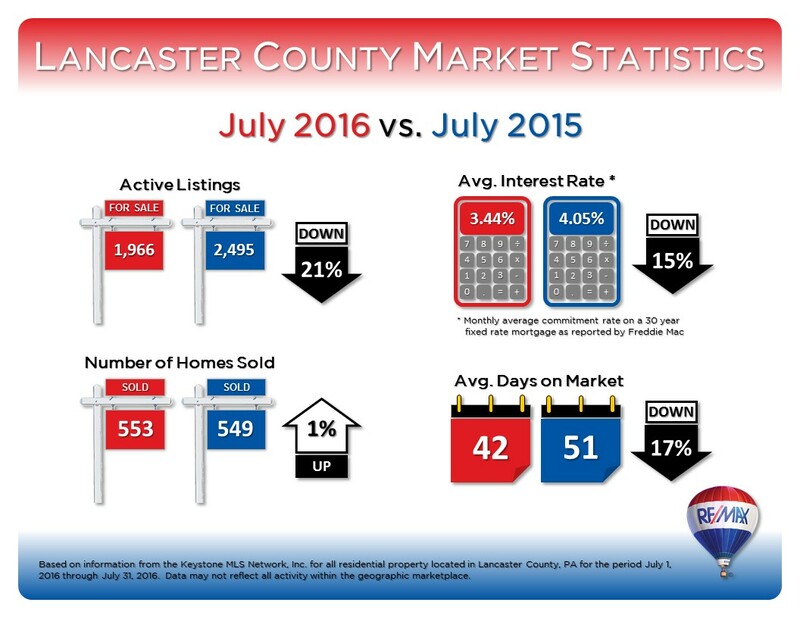 As a result of the low inventory numbers, buyers are making quicker decisions on properties which is reflected in the declining number of average of days on market. The housing market continues to bolstered by historically low interest rates that make owning a home easier than at any time over the last century. 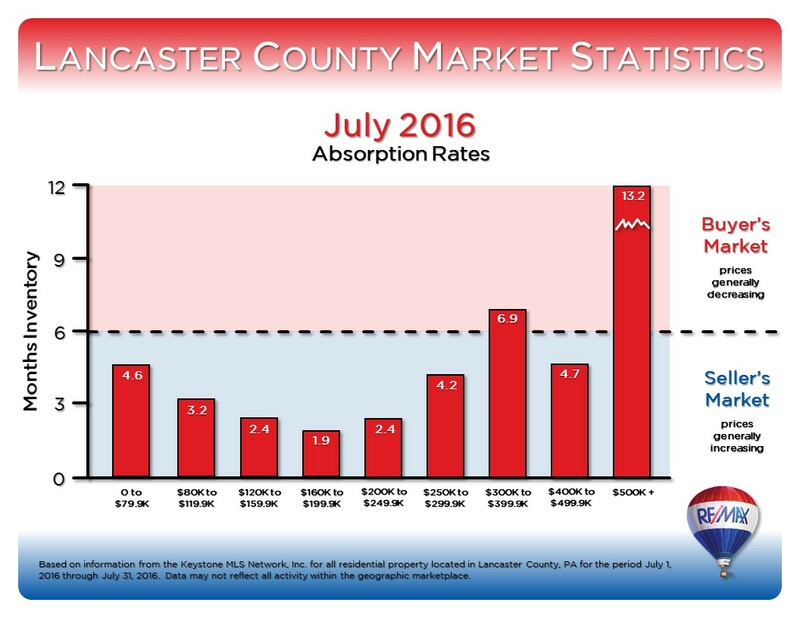 The absorption rate is the rate at which available homes are sold in a specific real estate market or price range during a given time period. It is calculated by dividing the total number of available homes by the average number of sales per month. 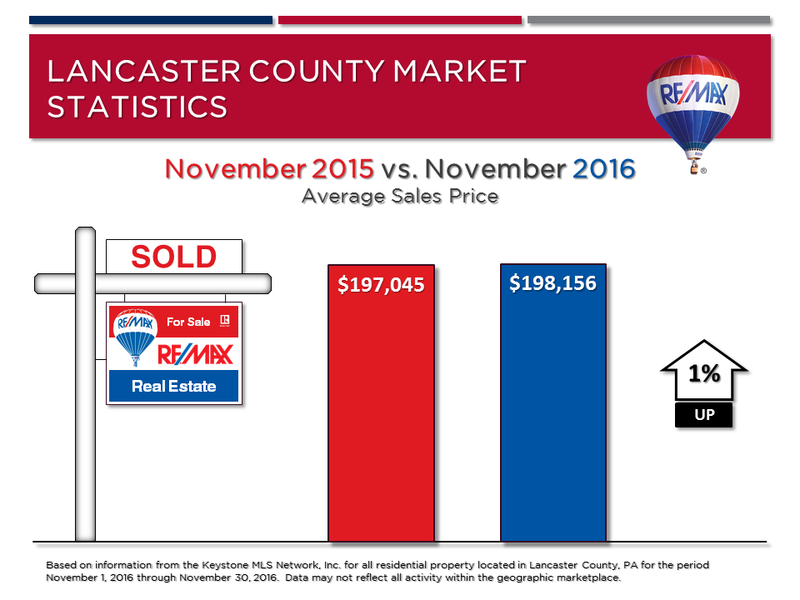 The rate represents the number of months it would take to clear out available inventory if no other homes come on the market. At the present time, homes that are priced below $300,000 are selling rather quickly and we’re in a seller’s market and prices are increasing. If you have a home above $500,000, you are facing an overabundance of inventory where buyers have a wide selection of homes to choose from. Until next month – – – all the best! Agents who scurry around wondering where the next transaction is going to come from are thinking ‘transactionaly.’ In order to build your business for the long haul, you need to think ‘relationaly’. This sales meeting takes a look at how one Central Pennsylvania high school coach built a dynasty by focusing on building relationships. Today’s real estate agent needs to be armed with knowledge of their marketplace and continually strive to stay current with changes and trends in their profession. This sales meeting deals with how market statistics can be used to more effectively work with clients, Facebook advertising to promote open houses, twelve changes/additions to PAR’s standard library of forms, and working through the inspection contingency in the standard agreement of sale.